Calculation, simulation and modeling have emerged as an integral part of scientific research today. The need to handle large datasets and to use high performance computers for simulation and analysis emphasises the importance of extended training beyond the fields where e-Science traditionally has been used. Local initiatives focus normally on certain specific subject fields, and there are not enough e-Science courses at each University to meet the need of the rapidly growing field of e-Science. In the area of e-Science, two Strategic Research Areas have been funded by VR, the Swedish e-Science Research Center (SeRC) and The e-Science Collaboration (eSSENCE). These centers have been established to act as coordination points for national e-Science activities. They have taken the initiative to establish a Graduate School, SeSE, to give basic training in fields where the use of e-Science is emerging and where education can have an immense impact on the research, but also advanced training for students in fields that are already computer-intensive. A course curriculum, where the courses are tailored to meet a broad set of prerequisites, will have a critical mass of students on a national level and foster collaborations between Swedish researchers, possibly opening up for new research fields utilizing e-Science tools and methods. By opening up the courses for graduate students from the Nordic countries inter-diciplinary collaborations on a Nordic level will be possible. SeSE will initially be based on two existing graduate schools, NGSSC and KCSE. NGSSC (founded 1996) and KCSE (founded 2007) have a long experience of providing graduate e-Science courses to a broad audience of Swedish graduate students. 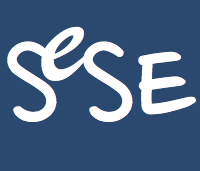 More in formation about SeSE can be found in the SeSE Mission statement.